Highlighted by a classic design, this transitional loveseat will transform your modern living setting. Showcasing rolled arms and block feet, the sofa features large back and seat cushions for extended support. Able to seat two, this comfortable loveseat will complete your transitional home space. 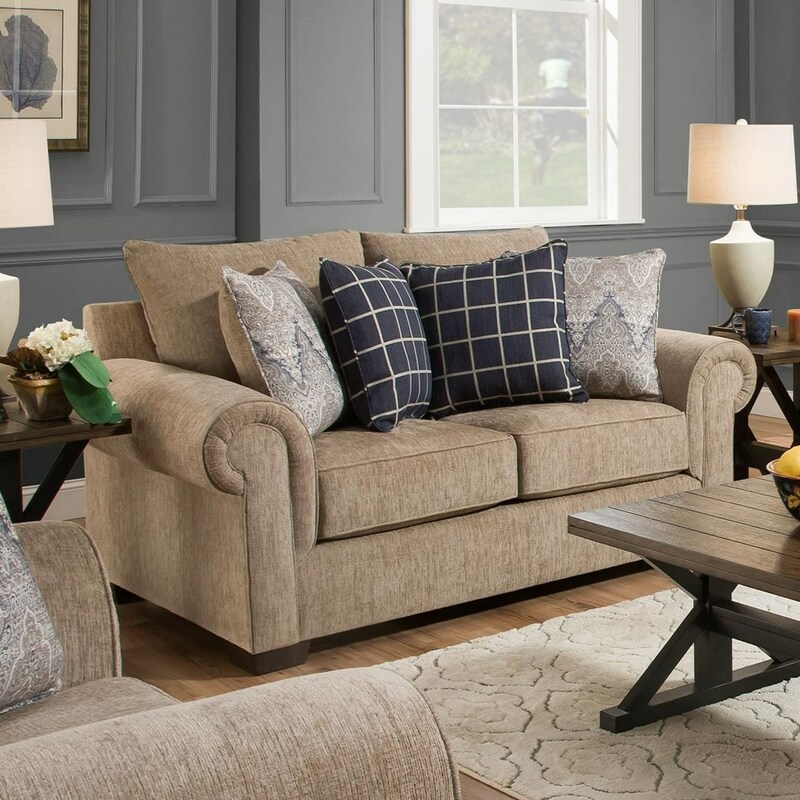 The 7592BR Transitional Loveseat with Rolled Arms by Simmons Upholstery at Royal Furniture in the Memphis, Nashville, Jackson, Birmingham area. Product availability may vary. Contact us for the most current availability on this product. The 7592BR collection is a great option if you are looking for Transitional furniture in the Memphis, Nashville, Jackson, Birmingham area.